The global neonatal phototherapy devices market has tread along a healthy growth path in the recent years and continue to expand at a promising pace. The market has massively expanded in the face of the rising prevalence of neonatal jaundice across the globe. Rise in government plans, regulations, and interventions aimed at arresting these numbers and establishing advanced healthcare infrastructure across a number of regional markets have also boosted the adoption of technologically advanced neonatal phototherapy devices globally. The market has thus expanded at a promising pace in regions such as Asia Pacific and Middle East and Africa in the past few years. Apart from rise in government interventions, rise in disposable incomes in these regions have also spelled growth for the neonatal phototherapy devices market. In the next few years, as North America and Europe markets continue to expand at healthy rates, presently the dominant and most lucrative regional markets for neonatal phototherapy devices, the markets in Asia Pacific and Middle East and Africa will also advance to account for a substantial share in the global market. The market is also expected to benefit from the vast rise in the number of companies entering the market. The rise in competition will bring about an urgency to focus on innovations and development of products with more effective features. Rise in the level of competition in the market is also expected to bring down the costs of products, thus enabling more effective outreach to cost-sensitive regional markets and regions with untapped growth opportunities. Neonatal phototherapy devices are medical devices which are used for the treatment of neonatal jaundice. Why is conventional phototherapy devices are most commonly made use of in photo therapy, new little phototherapy devices have benefits such as improved lifespan and ease of connectivity to incubators. Traditional phototherapy devices on the other hand are more affordable and hands more commonly used. 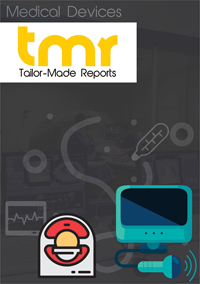 Nevertheless during the forecast period, it is anticipated that the global new needle for the therapy devices Market will witness a considerable growth. The different types of neonatal phototherapy devices available in the markets today are traditional phototherapy lamps, flexible phototherapy lamps, and phototherapy beds. It is expected that the launching of new products will bolster the growth of the global United phototherapy devices Market. One of the key factors boosting the demand for neonatal phototherapy devices is the growing prevalence of neonatal jaundice. The increasing adoption of technology advanced medical devices as well as rising expenditure on Healthcare are some of the other factors that are assisting the neonatal phototherapy devices market to grow in various parts of the world. The growing initiative taken by governments to improve health care for new-borns and children will also ate the growth of this market. In addition to this the rising demand for effective treatment for neonatal jaundice, will subsequently drive the demand for neonatal phototherapy devices. Hospitals and Homecare settings are two of the end users of neonatal phototherapy devices. There are a few factors which are hindering the growth of the global United phototherapy devices Market. One of the factors acting as a challenge is the stringent regulatory policies associated with product approvals. Loan approval rating time is acting as a challenge and restricting the growth of this Market. In addition to this the unavailability of new natal phototherapy devices especially in rural areas will also hamper the growth of this Market. Moreover, a lack of skilled professionals also pose a challenge. Geographically, the global United phototherapy devices Market is segmented into North America, Europe, Asia Pacific, the Middle East and Africa, and Latin America. Of these the growth of the neonatal photo therapy devices Market is highest in North America on account of constant Innovation as well as adoption of Advanced Technologies as well as awareness among the people. The presence of sophisticated Healthcare infrastructure in North America is another key factor behind the growth of the market in this region. Europe is another key market for new devices on account of several initiatives taken by government as well as major Innovative products introduced by manufacturers in Europe. In the years to come, it is expected that asia-pacific will emerge as a lucrative market for neonatal phototherapy devices on account of the rising birth rate in countries such as China and India as well as advancements in the healthcare infrastructure in this region. Similarly Latin America is also expected to be a lucrative regional market in the years to come on account of the adoption of new technologies as well as an increase in the health care spending. Koninklijke Philips N.V. (Netherlands), Natus Medical Incorporated (U.S.), Novos Medical Systems (Turkey), General Electric Company (U.S.), Atom Medical Corporation (Japan), Dragerwerk AG & Co. KGaA (Germany), Phoenix Medical Systems Pvt. Ltd (India), Medela AG (Switzerland), BabyBloom Healthcare BV (Netherlands).